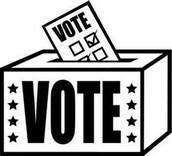 Popular sovereignty is the idea that the power of the government rest within the people. If the people don't like something about the government we can change it like our representatives. In the preamble the first words are "We The People..."
Republicanism is when the people have power and use it to elect representatives. We can vote for our president, Vice President, and members of Congress. 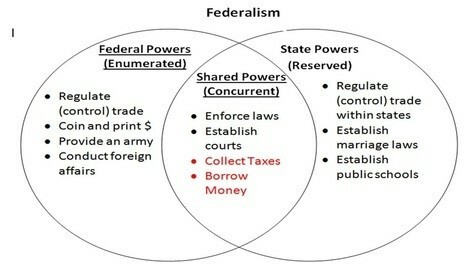 Federalism is when the power of the government is divided between the nation and state. 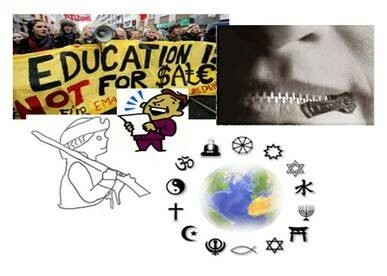 Powers not directly stated in the Constitution are reserved, or left to the states. 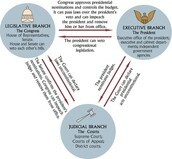 Separation of Powers is when the power of the national government is divided into three branches. 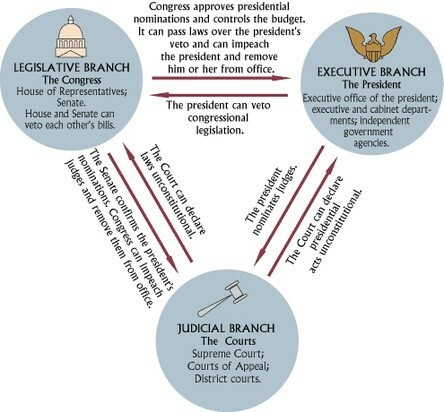 Each of the three branches of government holds some control over the other two branches. Article one, two, and three are about each branch. The three branches of the government have power over each other and can check another one when they feel their doing something wrong. The court can declare laws unconstitutional but Congress can vote to kick judges out of office. 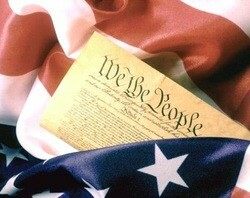 "Every Bill which shall have passed the House of Representatives and the Senate, shall, before it become a Law, be presented to the President of the United States; if he approve he shall sign it, but if not he shall return it..."
In limited government the government has boundaries on its power and can't do anything without the consent of the people. The President can't declare war the constitution says that only congress can declare war. "No Soldier shall, in time of peace be quartered in any house, without the consent of the Owner, nor in time of war..."
Individual Rights gives every citizen there own rights on what they can do and what the government can do to them. From the Preamble "Establish Justice, insure domestic Tranquility, provide for the common defense, promote the general Welfare, and secure the Blessings of Liberty to ourselves and our Posterity"